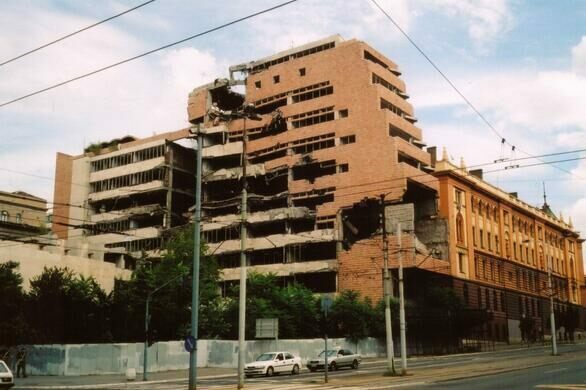 The 1990s were a turbulent, war-ravaged decade on the Balkan peninsula. 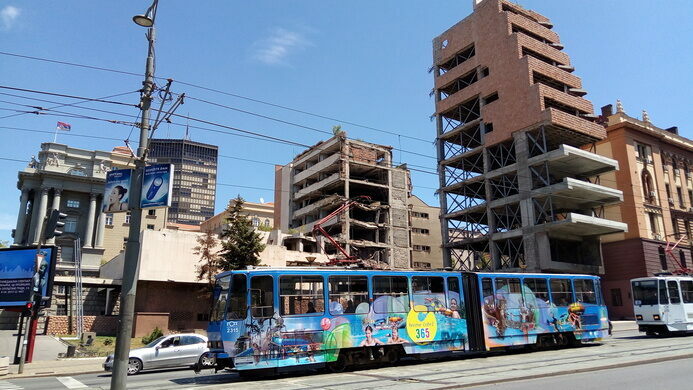 But in last 10 years a lot has changed and Serbia has once again largely re-integrated into European society. 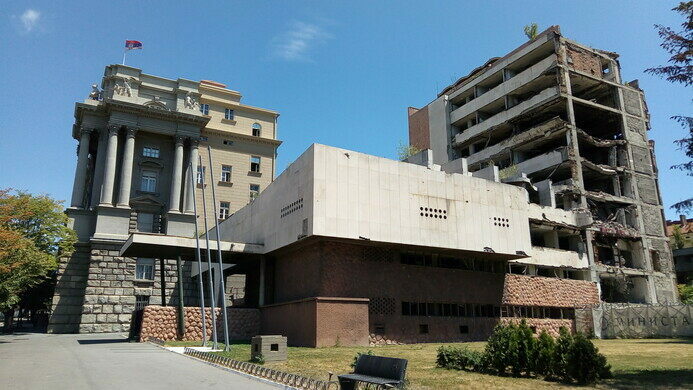 Traces of the wars of the 1990s are hard to find in Belgrade, except of course for the gaping ruin of the ex-Yugoslav/Serbian Army headquarters. 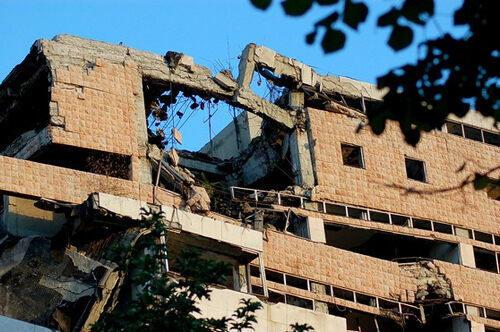 The building was hit several times during the NATO campaign. The bombing of the building was primarily of symbolic importance, as all essential command functions had already been evacuated to a secure location in the days prior to the outbreak of the war. 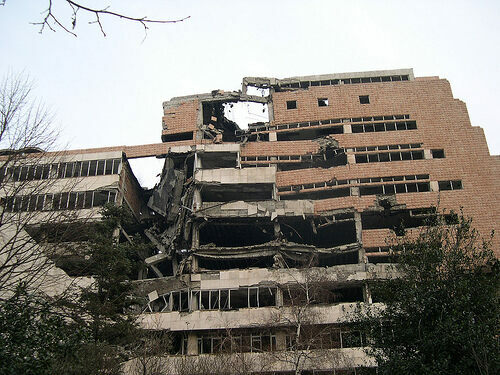 After the end of hostilities the building was deemed too damaged for immediate repair and it remains in the same bombed-out condition to this day. 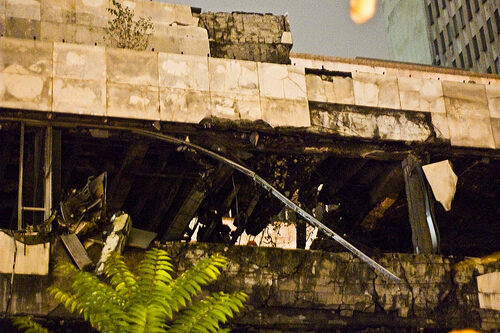 If its destruction was largely symbolic, so too is its continued state of disrepair. 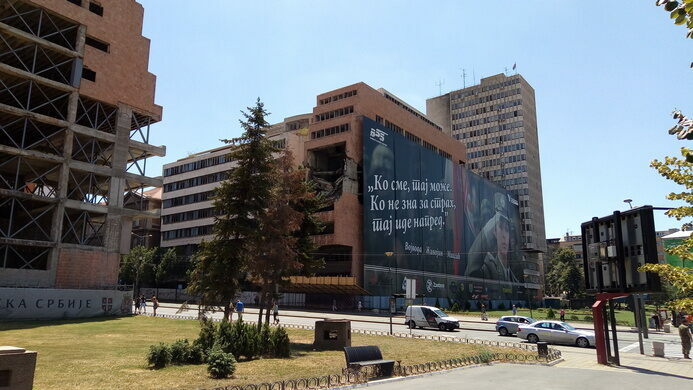 For many Serbs, the destroyed army headquarters has become a monument to the lost war, and a morbid tourist attraction for foreign visitors. It is within walking distance of the main railway station and international bus terminal. 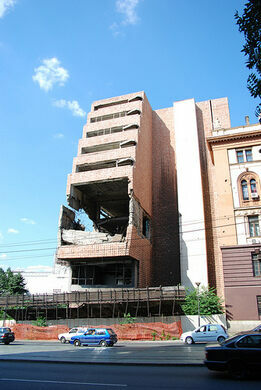 Building is situated on the corner of Nemanjina and Knjaza Miloa streets. Nemanjina street starts from the front of the main railway station. Start climbing uphill towards Slavia Square. Building is within 10 minutes walking distance.